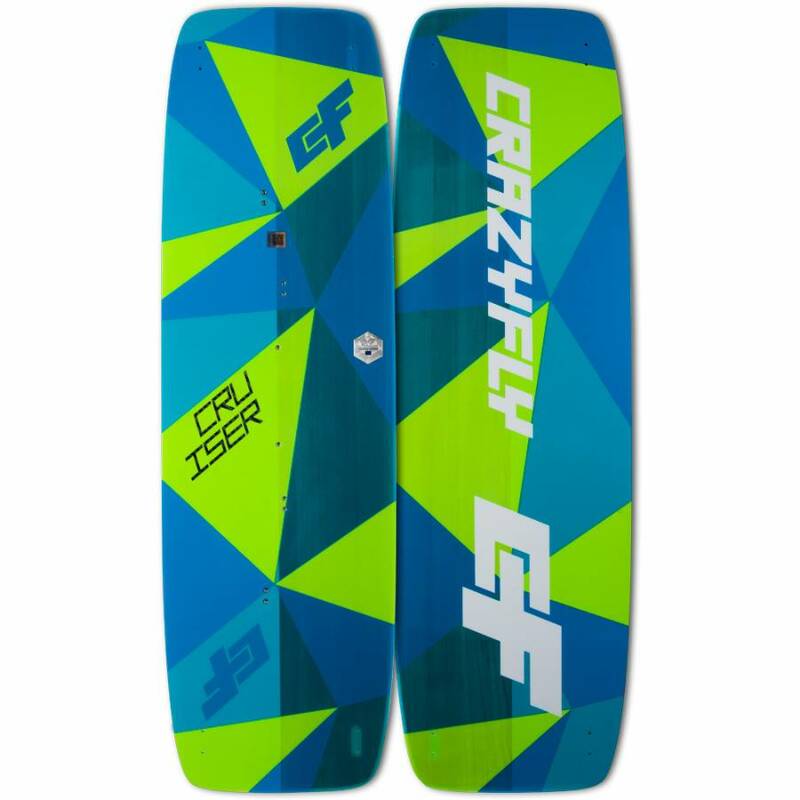 The 2018 Crazyfly Cruiser is a light wind machine with proven shape and construction. The name sums it up perfectly: Cruising around, having fun and enjoying the ride even in the lightest winds. But of course, this board can handle a lot more than that Due to its unique core construction and extremely light layers of carbon, the Cruiser can also be seriously abused. The very well balanced medium flex of this board suits intermediate and advanced riders, it rides comfortably in choppy waters and the flat rocker and squared outline ensure that it is an incredible lightwind board. The 2018 Cruiser  light wind machine. 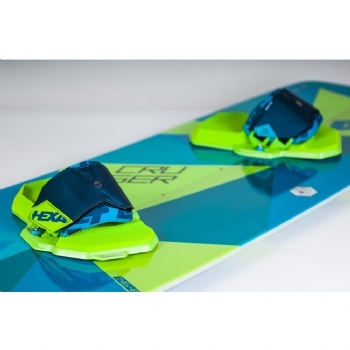 The Cruiser comes Deck Only with 5cm Razor fins, handle, and hardware; Complete with Allround Bindings, 5cm Razor fins, handle and hardware; or Complete with Hexa Bindings, 5cm Razor fins, handle, and hardware. 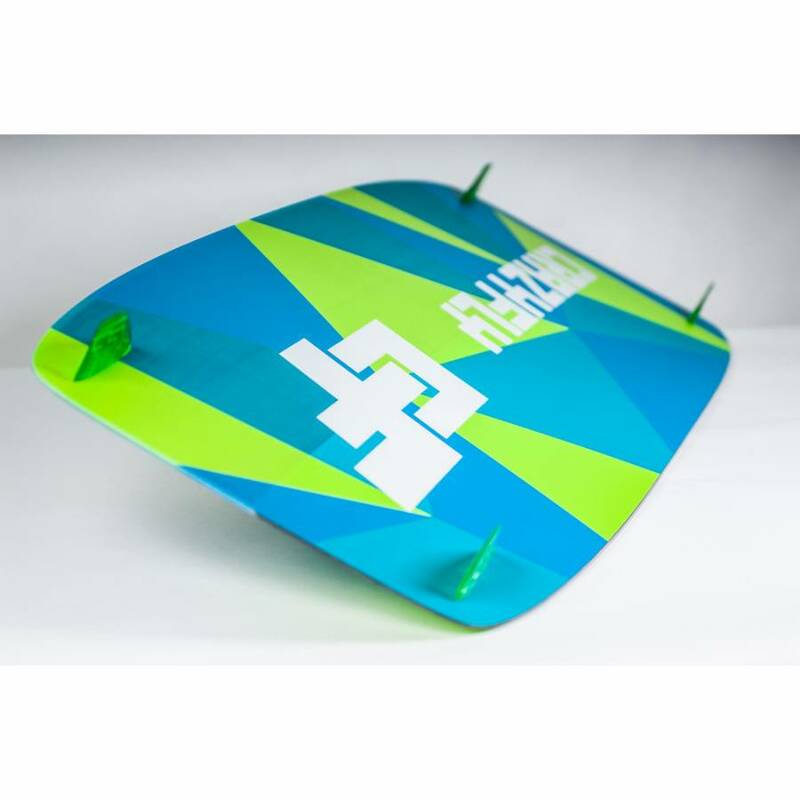 Squared Outline - One of the most important factors when it comes to lightwind boards is the surface area of the board. The more surface under your feet in light wind, the more you are up and going. The squared outline increases the area of the board touching the water and hence provides better light wind performance. Full Carbon Construction - Based on our thirteen years of experience in building high quality kiteboards with top performance, we simply believe that carbon fibers are irreplaceable. Carbon fibers are ultra light and at the same time extremely strong. This material is very dynamic and it returns instantly to its original shape after being stressed, which provides loads of pop in carbon fiber boards. Allround Binding - The Allround binding features a 3D shaped double density EVA footpad with heel support and a toe ridge. 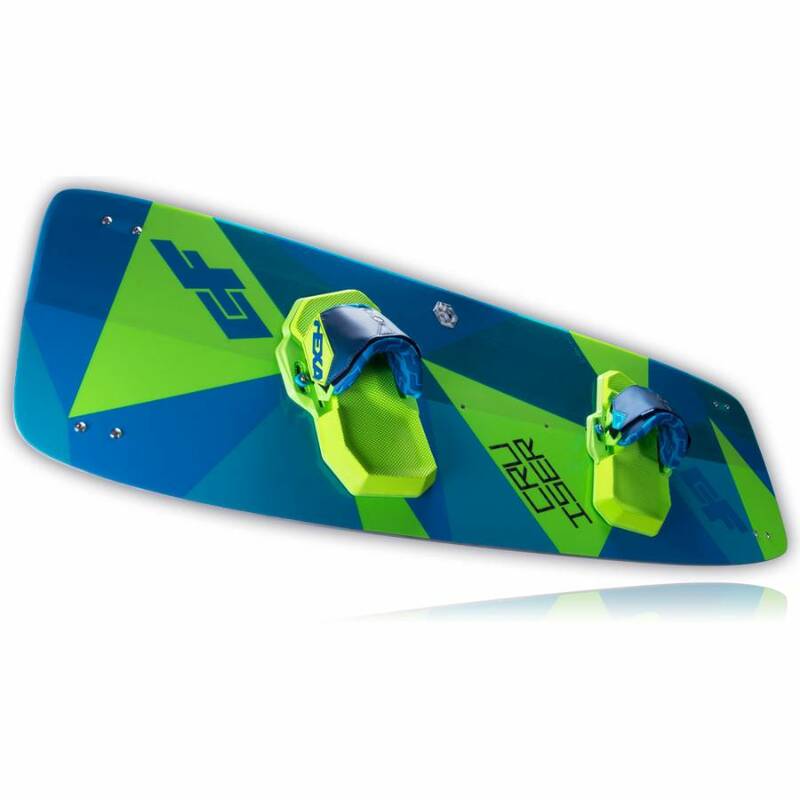 Footstraps use our QuickFix II mounting system for quick and easy mounting and adjustments on the beach.